Lorin J Bethers, Our beloved Husband, Father, Grandfather, Great Grandfather and Brother passed away peacefully on July 30, 2018 after a well fought lingering illness. Lorin was born March 23, 1935 in Daniel, Utah to Ernestine and Lyman Bethers. He graduated from Wasatch High School and Seminary. He was honorably discharged from the U.S. Army National Guard in 1961. He worked in road construction and then worked as a truck driver. He worked very hard to provide for his family. He married Marilyn Carlile July 18, 1963 in the Salt Lake Temple. Together they raised five daughters. They had 55 years together. He was an active member of the Church of Jesus Christ of Latter Day Saints. He served in many different callings, such as clerk, executive secretary, High councilman, and others. He has four siblings, Velma Larsen, Ray (Gloria) Bethers, Dwaine Bethers, and Ruth (Raymond) Dunbar. His children are Lori Lyn Bethers, Melanie (Mark) Berg, Susan (Shawn) Pace, Pamela (Kevin) Smart, and Patricia (Kody) Clyde. 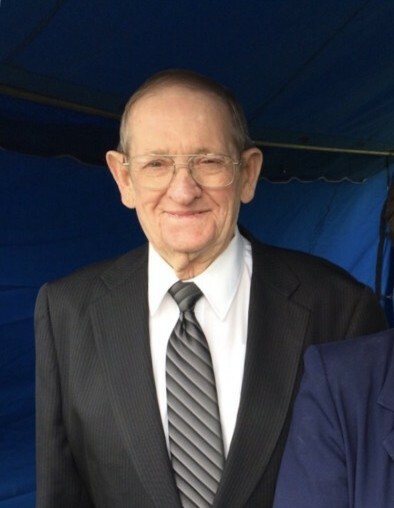 He leaves behind 11 grandchildren and 4 great grandchildren. He is preceded in death by his parents and his sweet daughter Lori Lyn. To know Lorin was to love him. He made friends everywhere he went. We'd like to thank the Home Health and Hospice team for their tender care. Monday August 6th Viewing from 9:30 to 10:30 AM. Funeral services provided by Independent Funeral Services.